The Yaeger Senior Case Carts are made of heavy duty aluminum and they knock down to a compact travel case. They assemble or disassemble easily in minutes. 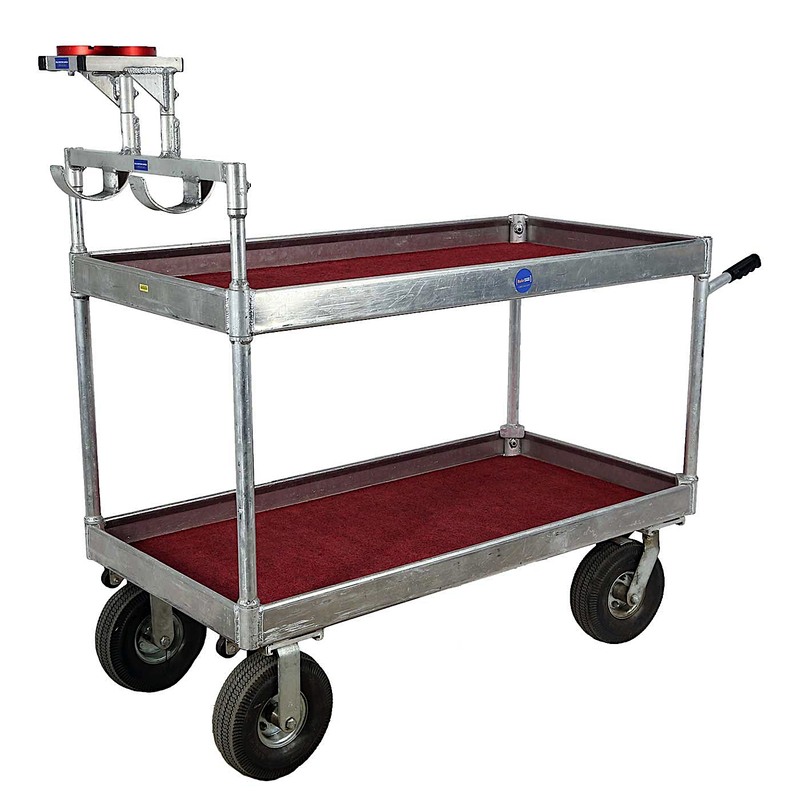 This model has the two Hi-Hat Rails already attached, 10″ pneumatic casters, (two swivel with brakes and two rigid.) The wheels are removable by design and feature quick clips. Non-corrosive lightweight aluminum & carpeted shelves with 3″ lips. Dual-purpose pin handles for easy handling as well as for wrapping power cords.